A testament to just how hoppy this Double Dry Hopped Double IPA is, is that I popped mine in the freezer when it arrived because I wanted it NOW, and then forgot I’d put it there until it had turned into a beer slushy, but when I finally remembered and popped the cap to pour it I was met with the biggest, freshest, fruitiest hoppy aroma. 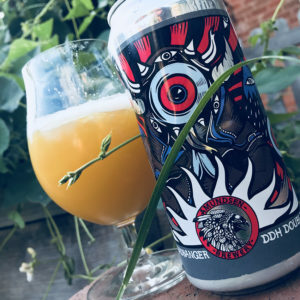 Brewed in collaboration with Northern Monk, Voodoo Headbanger is a massive punch to the senses, all crisp and bitter, bright and zingy lemon and lime zest, sherbet and hedgerow, mown lawns and garden herbs, coupled with a sweet and round caramel and doughnut malt that’s made smooth and creamy by some added lactose, and warm and sensuous by the deep white rum alcohol heat that permeates the the long and crisp bitter finish. And all that in the form of a beer ice lolly. 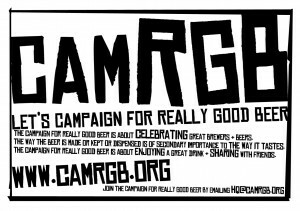 This entry was posted in Beer Review, CAMRGB and tagged 7.5% +, Beer, Beer Review, CAMRGB, Can, Canned beer, DDH, DIPA, Double Dry Hopped, Double IPA, Drinking, IPA. Bookmark the permalink.